A beekeeper needs to learn certain tricks of the trade to work with Africanized bees. Their defensiveness can make them difficult. It’s taken me a good number of years to sort of figure them out (and there still is always something new to learn when bees are involved!). This is the third in the trilogy of blog posts about my Africanized beekeeping. In general, there really is not much difference between an Africanized honey bee and a European honey bee. Both raise brood in the same way. They collect nectar and pollen in the same way. They produce wax and build their combs in the same way. The difference is that one is normally more ornery than the other. And this forces the beekeeper to change tactics to be able to manage them. 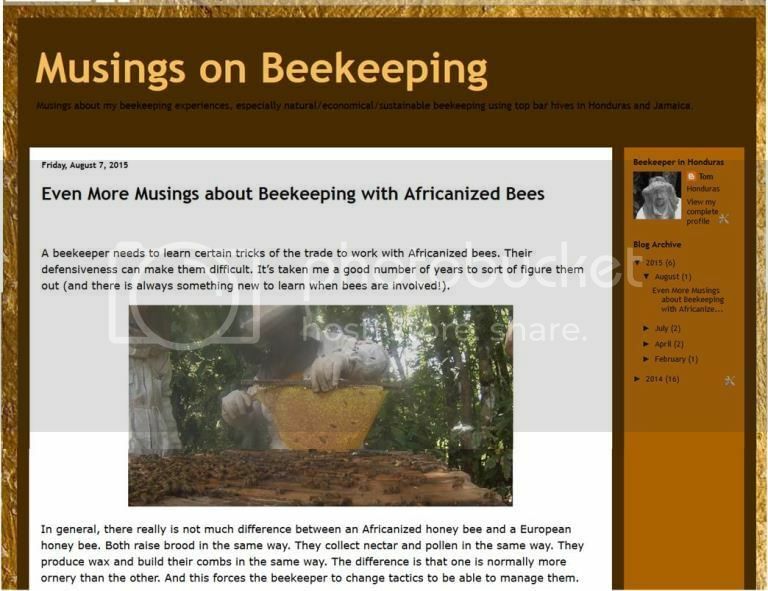 This is the continuation of my two previous posts, “Musings about Beekeeping with Africanized Bees” and “More Musings about Beekeeping with Africanized Bees”. I don’t consider myself to be an expert on Africanized bees (much less on beekeeping in general). But over the years, as I mentioned, I’ve learned a thing or two in order to manage and take advantage of the bees in Honduras while taking into consideration my own personal circumstances that affect my beekeeping.